How long have you been dreaming of a new kitchen? Kitchen Renovations Contractors at Accent Renovations have renovated countless kitchens in the Kelowna area. As one of the busiest parts of your home, converting it into a personalized oasis where you enjoy spending time can improve your life. Your kitchen is the heart of your home. It’s where friends congregate at get-togethers, families discuss their days and of course, where meals are prepared and cooked. Have you dreamed of opening up your kitchen space to make hosting easier? Perhaps you’re dreaming of installing a large kitchen island for more workspace or more storage. Whether you’re looking for a bigger, brighter, or more modern and functional space, our kitchen renovations contractors would be happy to help you! Renovating a space can be overwhelming, which is why we’ve streamlined the process into five easy steps. First, our kitchen renovation contractors will help you narrow down your inspiration and plan. We’ll chat about the ideas you already have, and then come up with a concept and design to execute. From there, we’ll start! After the project is complete, the only thing left to do is enjoy your space! Throughout the entire process, our kitchen renovation contractors will be there to offer expertise and make the process as smooth and painless as possible. The truth is, kitchen renovations can be messy and inconvenient. For the duration of the renovation, your kitchen will be unusable. 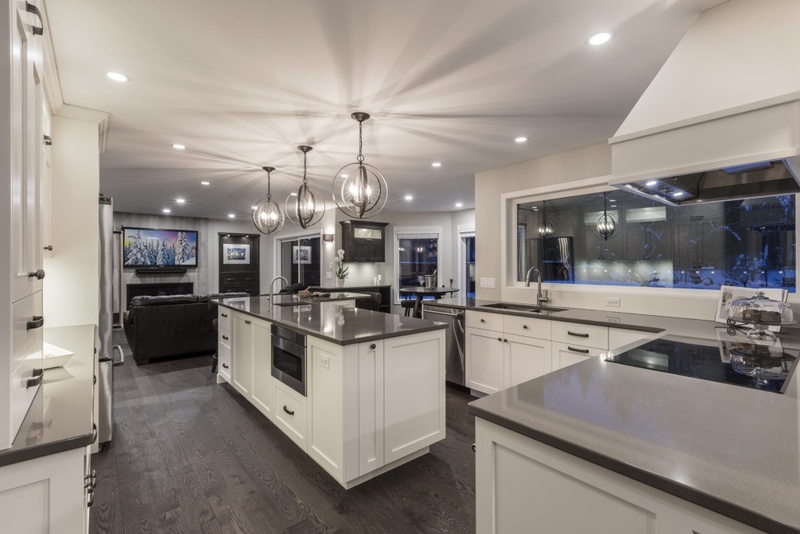 However, during the winter months after Christmas, life slows down for a lot of Kelowna residents, making it the perfect time for kitchen renovations. We’ve asked many homeowners who went through the Kelowna kitchen renovation process, and they agreed that creating an organized and efficient kitchen was well worth the inconvenience for a few weeks. Our team of kitchen renovation contractor is fully committed to everyone’s safety and wellbeing throughout the renovation process. Our workspace is your home and we treat it that way from start to finish. Our meticulous precautions and daily clean up helps to prevent dust from depositing throughout your home. See our kitchen renovations page here for the answers to common concerns homeowners have before starting a kitchen renovation. If you’re ready to get your Kelowna kitchen renovation started, contact the team at Accent Renovations. We’d be happy to provide a free estimate and help you create a kitchen you love spending time in. For more information from our kitchen renovations contractors, contact us today.